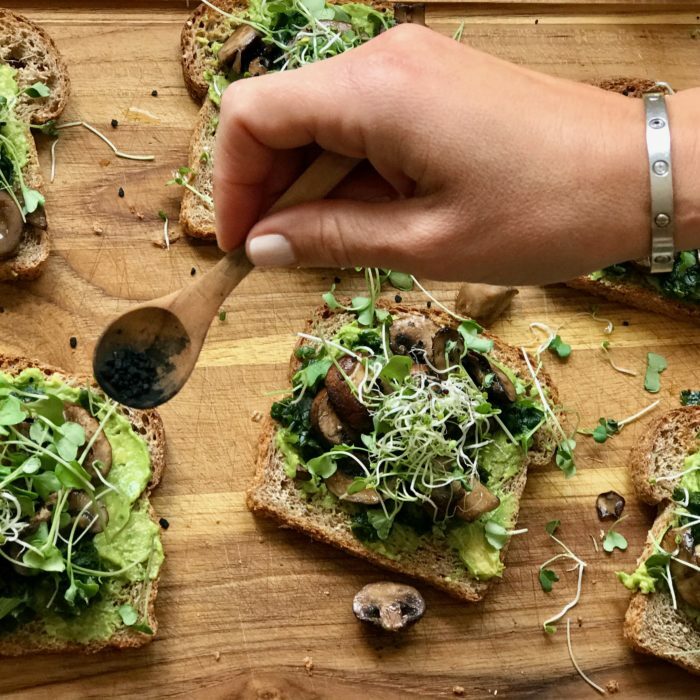 Everyone loves avocado toasts, right! Here I use sprouted bread to make it healthier and topping it with sautéed mushrooms and spinach for extra flavor!!! You can also always add a fried egg on top. Brush the bread with olive oil and grill on both sides. Meanwhile sauté the mushrooms with 1-2 tbsp of olive oil, salt and pepper for 5-6 minutes until nice and brown. Start assembling by spreading avocado first, add some cooked spinach, a spoonful of mushrooms, some sprouts and salt and pepper. Once again, a fried or poached egg on top would be heaven!! !